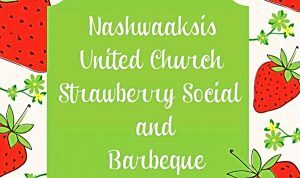 Come, bring and treat a family member or a friend out to the Nashwaaksis United Church Strawberry Social and Barbeque on Wednesday, July 11th, 2018 from 4pm – 6:30pm at Nashwaaksis United Church, 46 Main Street, Fredericton. 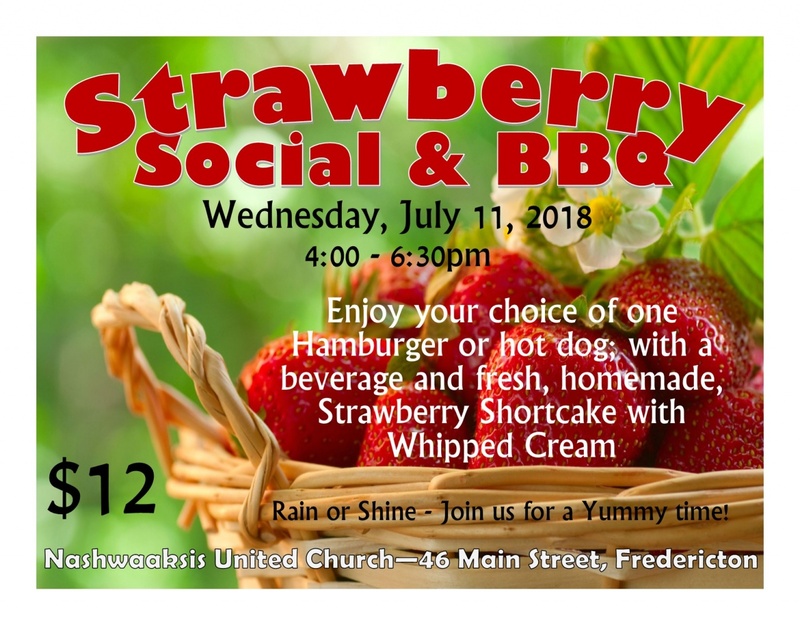 The Strawberry Social and Barbeque will be serving for just $12. 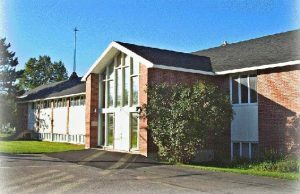 a person, your choice of one hamburger or hot dog, with a beverage and a fresh, homemade Strawberry Shortcake with Whipped Cream. This event is happening rain or shine, and come and join us for a yummy time! !